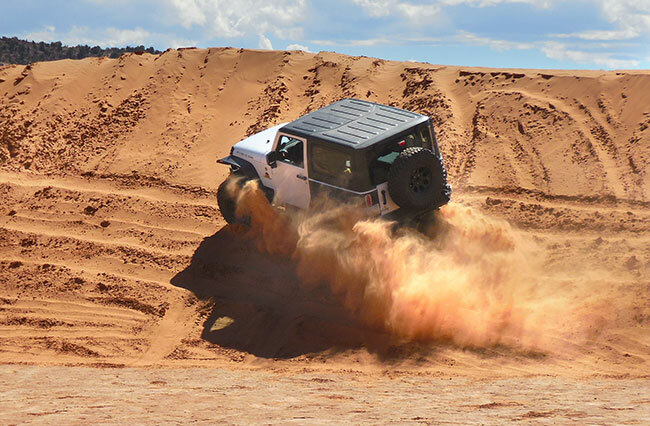 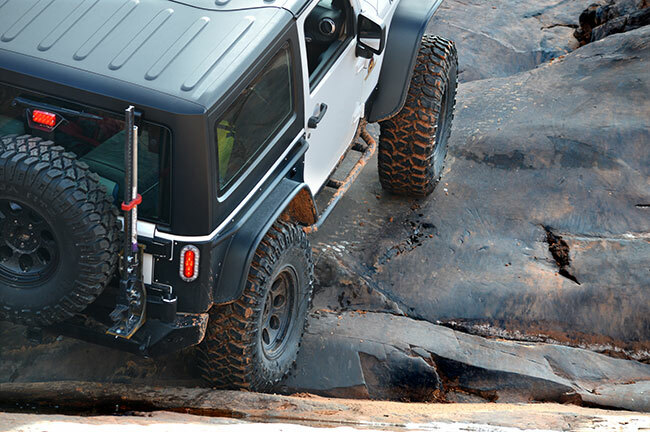 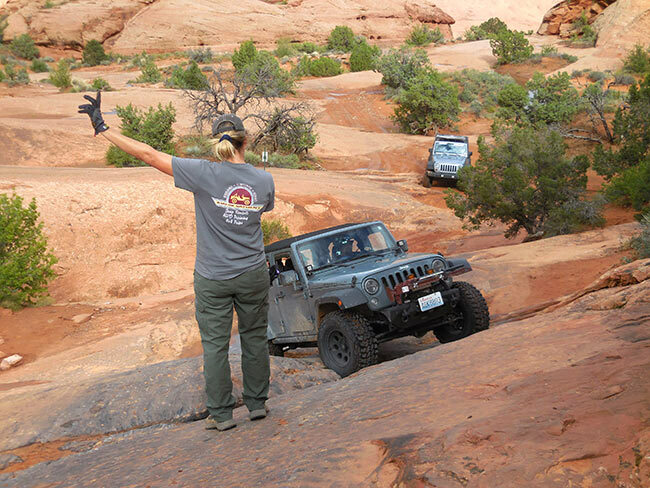 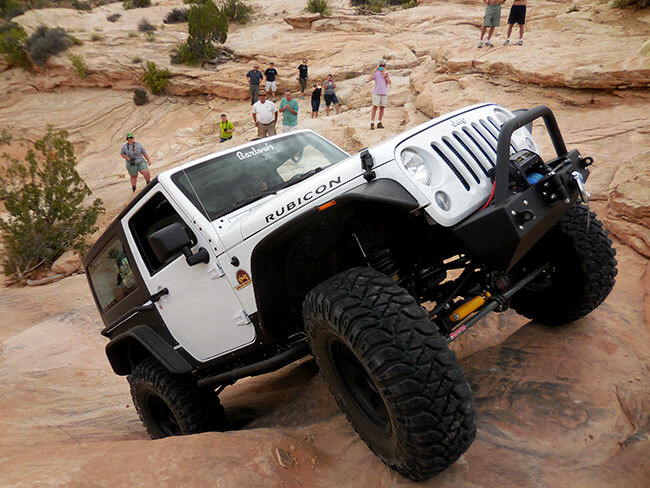 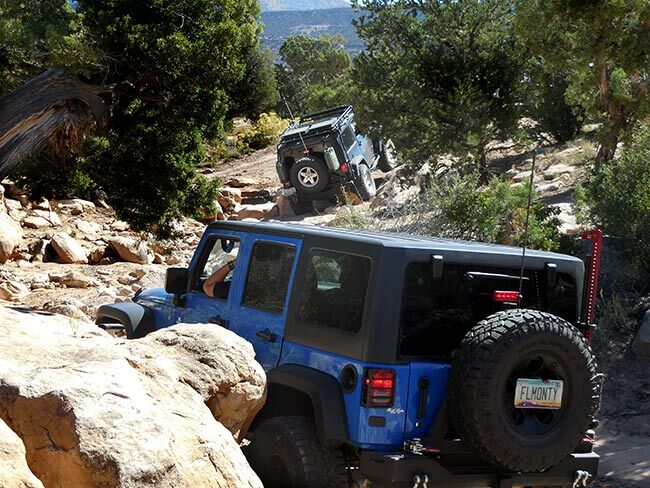 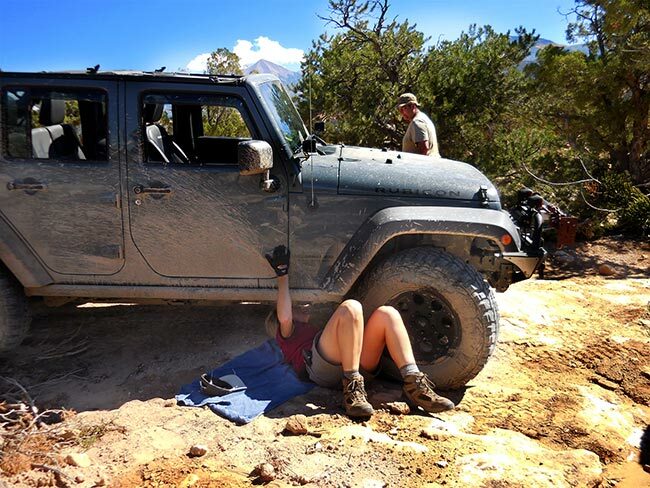 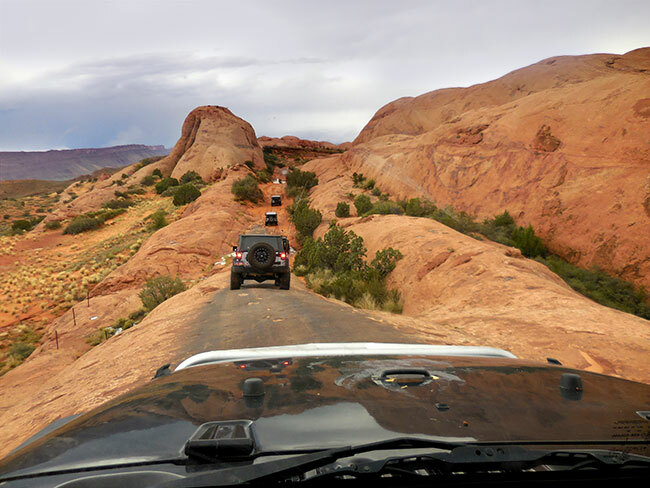 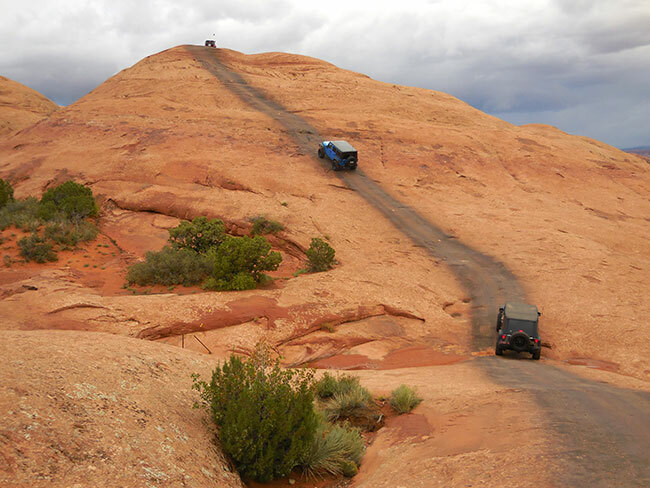 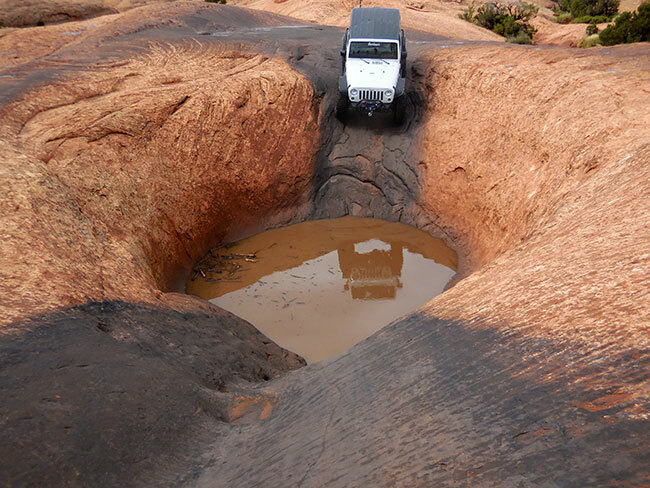 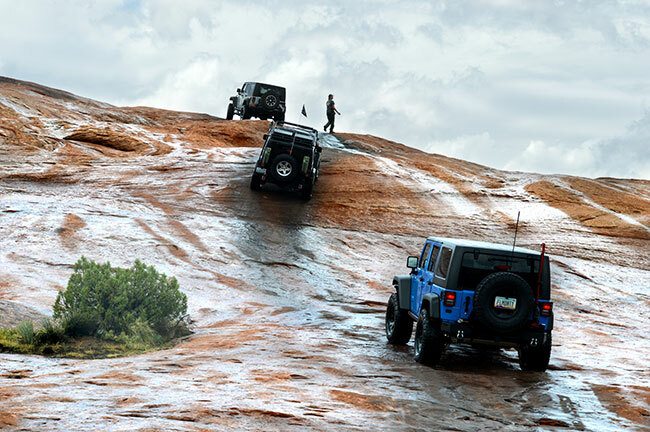 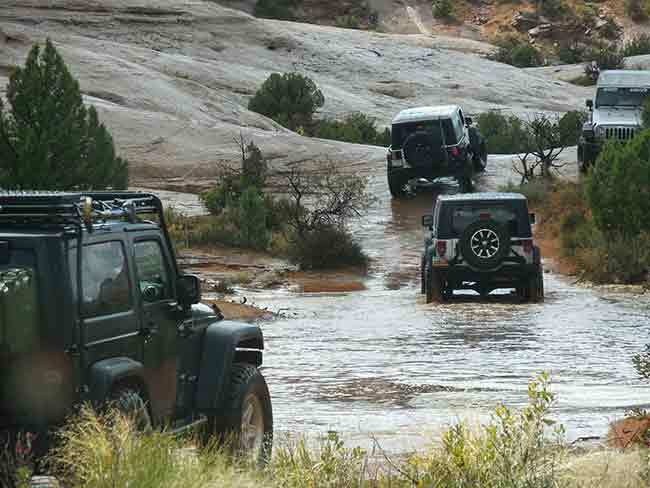 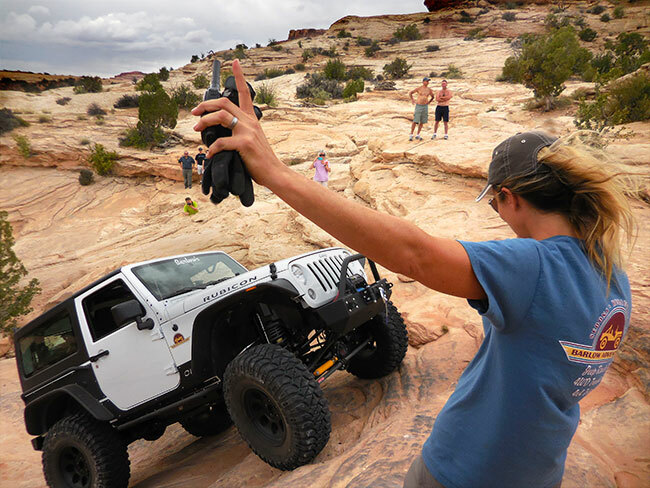 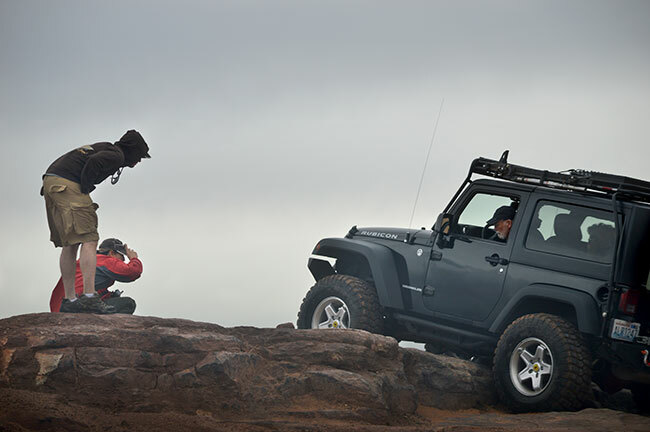 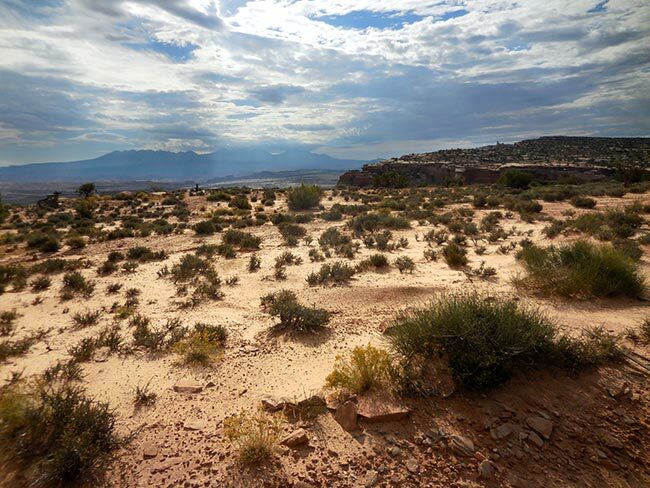 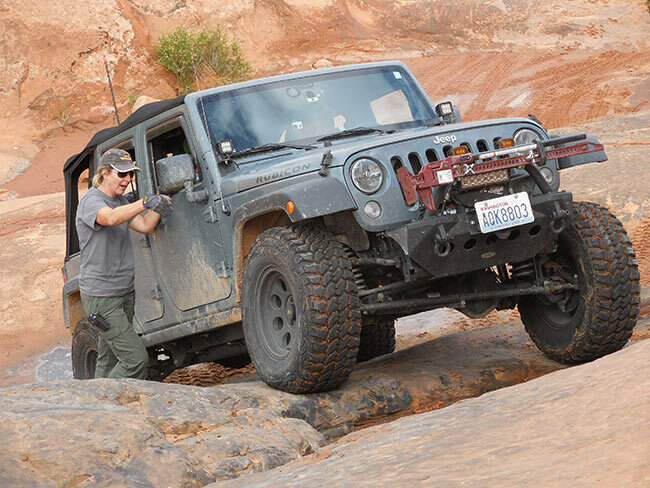 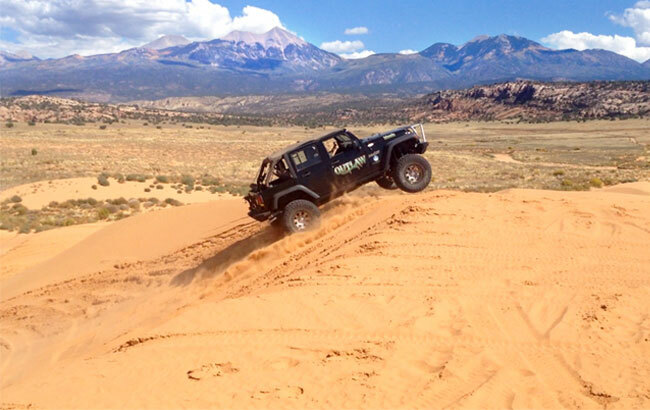 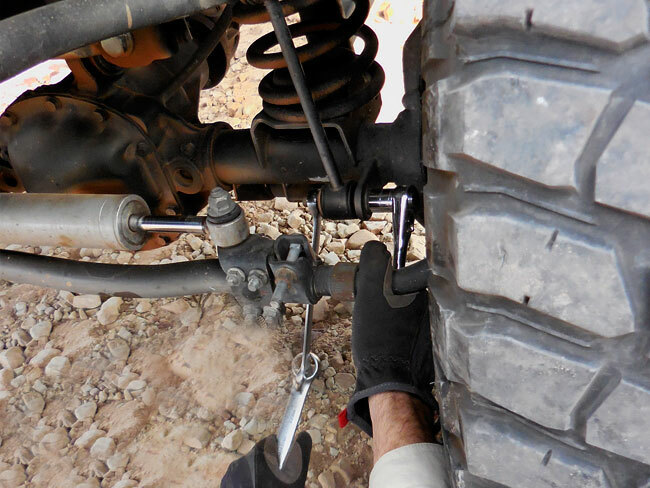 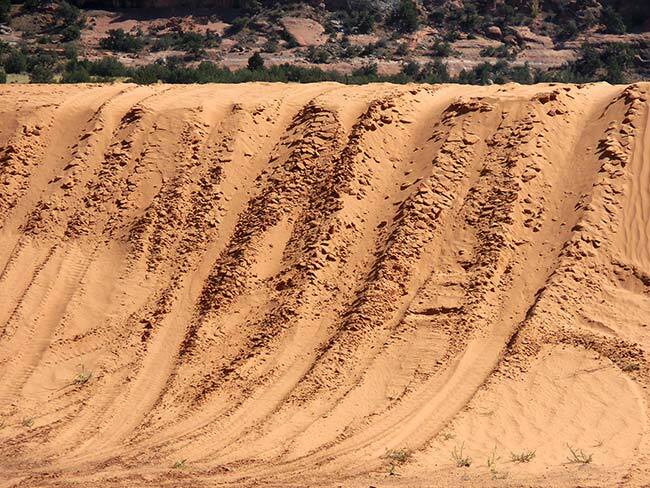 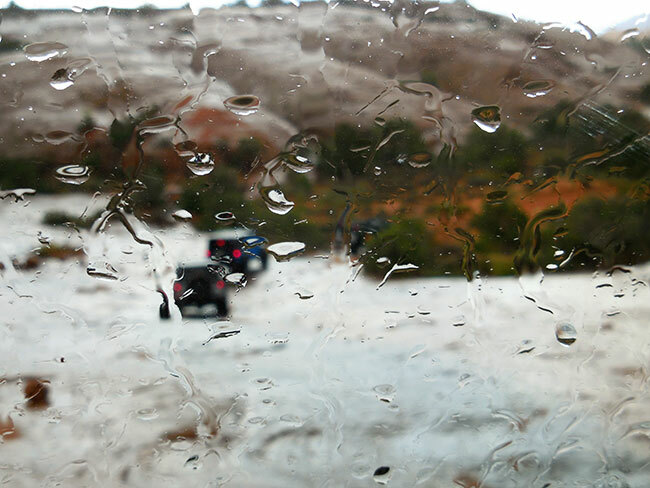 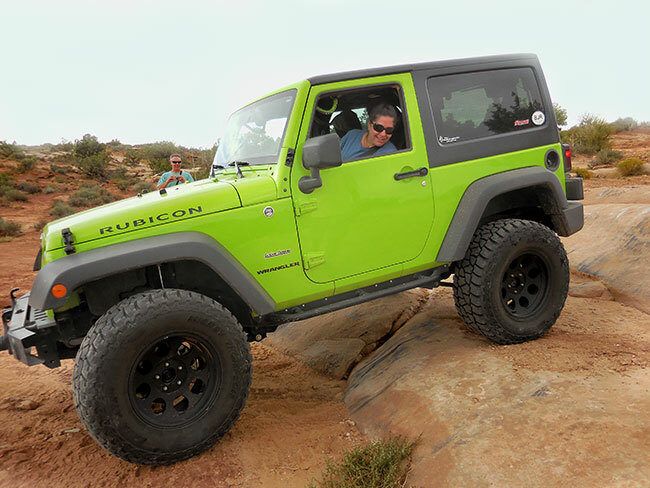 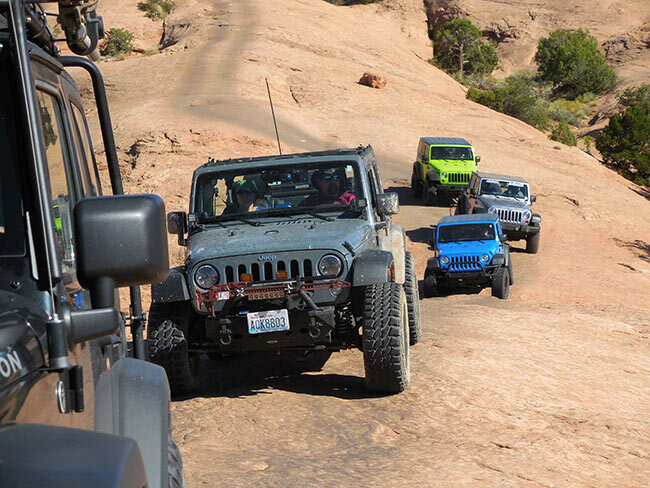 MOAB, UT — SEPTEMBER 26-28, 2014: Fun and challenges during an intense three-day weekend sampling Moab’s famed Jeep trails with the Barlow Adventures group. 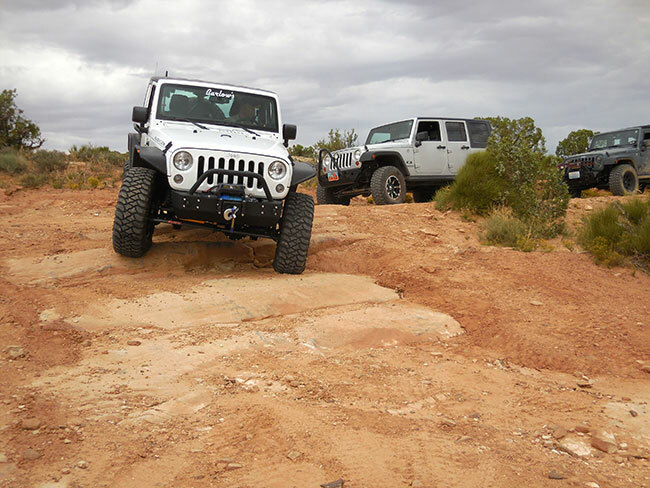 This was a great opportunity to get to explore some trails we would not have attempted on our own. 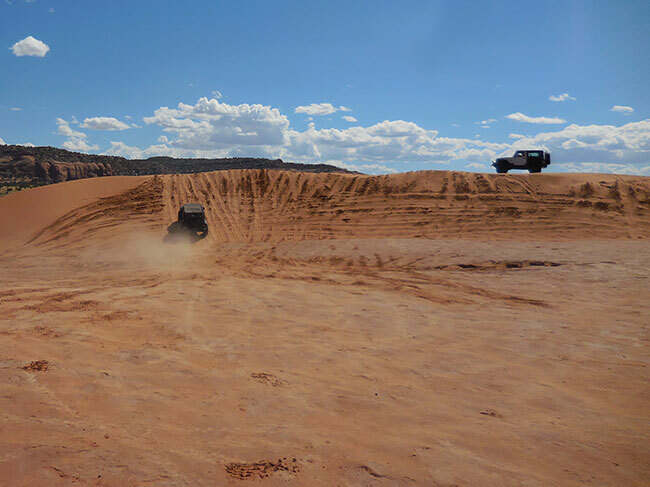 And we got to experience many of the different terrain types found in the area including layered rock sediment, sandy washes, dunes and the classic red sandstone fins. 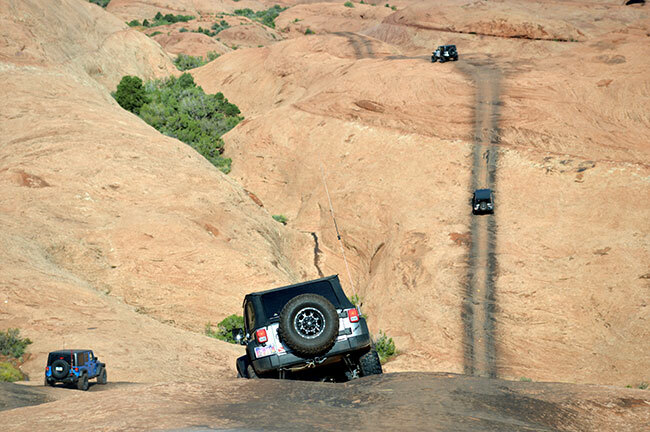 Each terrain had its own challenges, and we reviewed technique while enjoying the awe-inspiring landscapes. 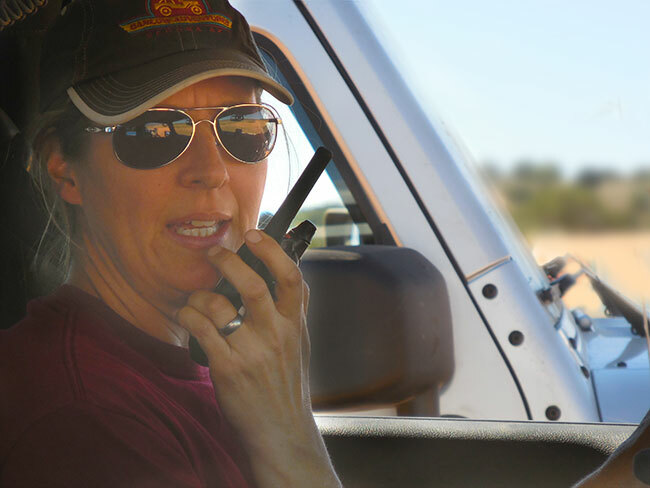 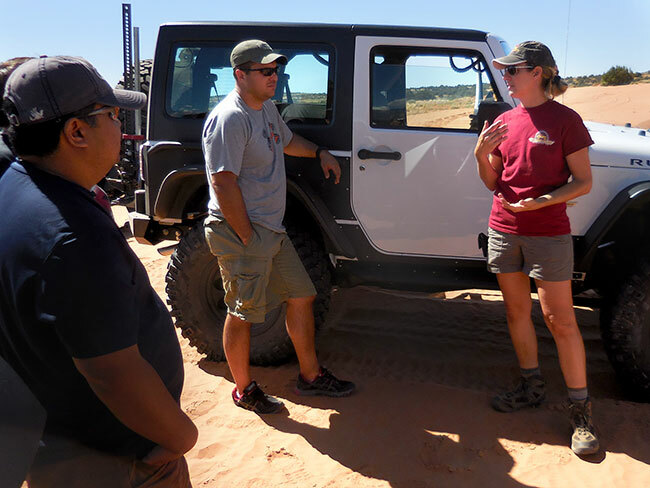 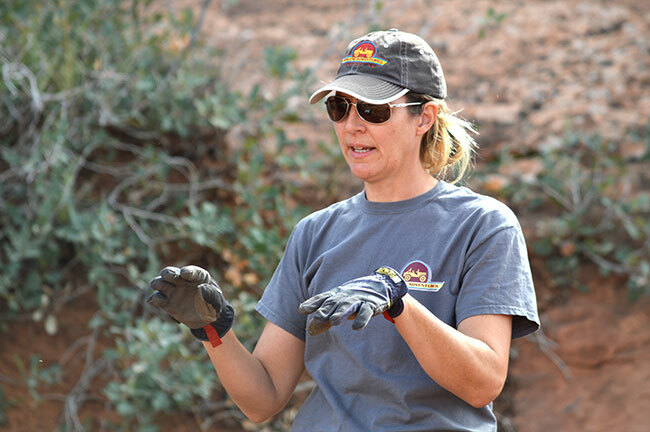 With the expert guidance of Nena Barlow, one of a select group of 4×4 trainers certified by the International 4wd Trainer Association, we were even able to take on a few of the “harder” obstacles.